The aim of allowing comments at this site is to encourage thoughtful discussion. Please be respectful to others, and report offensive or abusive or spamious or other double-plus-ungood conduct to me as soon as it turns up. Use of ethnic slurs and indeed of slurs of any kind is streng verboten, and personal attacks on anyone, including yours truly, slurry or not, are just as verboten. I also provide an “Ignore” button to help users cope with “trolls” and other commenters whom they find annoying. I don’t want to ban anyone, so will usually begin with warnings, with opportunities to revise and repent. I want to err on the side of free exchange even of views widely taken to be offensive, but in my view the objective of preserving such openness to ideas requires even greater care in language. So, no cussin neither except when I find it unusually amusing or well-justified.1 I reserve the right – or accept the responsiblity – to take down any comment I judge unacceptable, or more likely to sidetrack or interrupt than to extend discussion – without warning. Commenters should also know that their comments are protected by the site’s copyright, but will be subject to re-production, exploitation, and editing, without advance permission, and anywhere in the multi-verse – and not just by me. 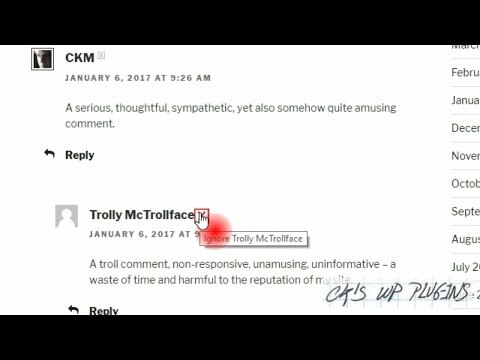 Commenters will also find some other extra features here, ones that accentuate the positive, like the “Commenter Archive” and “Comments this Thread” functions initiated by image-links that appear next to the Ignore Button after a commenter’s name, and also appear in the State of Discussion widget and page. I’ll soon be re-introducing versions of the Commenter Highlight and Comment Highlight buttons that debuted along with the Commenter Ignore Button, and I’ll be adding others if and when commenting becomes as lively at this site as it has been at times in the past, or as I develop features I’ve installed at other sites as full-fledged WordPress Plugins, or pointing out some others that are not currently very relevant to my handful of users. Rosenzweig’s Pre-Emption (of Strauss) – Part I November 9, 2013 "Divine truth hides from the one who reaches for it with one hand only."